Johannesburg - Eskom's pressure on South Africa's fiscus could see further credit downgrades from the rating agencies, a new risk report from Investec has warned. This comes as Eskom's risk to the South African economy is escalating by the day. In Investec's latest risk update, Investec chief economist Annabel Bishop identified Eskom as a huge risk to South Africa's economy that could hamper the renewal and recovery the country desperately seeks. The down case shows additional, substantial pressure on government finances, such as Eskom defaults because of the government guarantee issued to the state utility. Treasury has issued R350bn in government guarantees to Eskom, of which R275bn has already been used. On Thursday Finance Minister Malusi Gigaba warned that if Eskom is not dealt with urgently, South Africa's whole economy could collapse by the time Team SA returns from the World Economic Forum (WEF) in Davos. "There would be no currency, and no economy for the country if Eskom went belly-up." Bishop said that with government providing guarantees for Eskom debt, failure by the utility to roll over or meet its debt obligations would mean government is liable, but South Africa’s public finances cannot repay Eskom’s debt without issuing substantially more SA government debt – which would put further downwards pressure on SA credit ratings. Speaking at the Reserve Bank's repo rate announcement on Thursday, Deputy Reserve Bank Governor Daniel Mminele said the impact of Eskom could affect South Africa’s risk profile in relation to sovereign rating downgrades. He also said that South Africa’s banking system is "of course exposed to Eskom and the issues around how that would unfold could present challenges". But for now he said as far as their overall risk management processes were concerned, the committee was comfortable that it had managed the risks. Bishop said that ratings agency Fitch highlighted that “contingent liabilities from state-owned enterprises are also a risk to public debt levels”, and its “forecasts assume moderate fiscal consolidation in the February budget, incorporating revenue and spending measures under discussion by the presidential fiscal committee, but that were not factored into October's Medium-Term Budget Policy Statement”. Past government attempts at pulling in the pace of public sector and state owned enterprises' current expenditure have been insufficient to allow for fiscal consolidation, she said. "SA’s current expenditure needs to persistently match or fall short of SA’s current revenue for fiscal consolidation, and its borrowings to reduce, as does that of the state owned enterprises." Bishop explained that Eskom had heavy funding plans, and was unsuccessful in its high tariff application, which means it will either need to sharply cut down on its expenditure, privatise or place additional burden on the public purse for funding, likely some of each. The down case will be an Eskom debt default, as it will place substantial pressure on SA’s government debt, she said. With a downgrade from the most sympathetic ratings agency, Moody’s, still on the cards unless the 2018 budget provides meaningful fiscal consolidation, particularly on borrowings and expenditure, the rand could weaken in the first quarter of 2018. 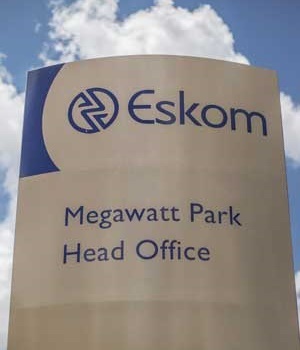 Patrick Dlamini, CEO and managing director of the Development Bank of Southern Africa (DBSA) said he was shaking in his boots about the huge risk that Eskom presented and how it could destroy South Africa's economy. Deputy President Cyril Ramaphosa also admitted at the breakfast that the challenges around Eskom are huge, and said the state-owned enterprise is top of mind. At an International Monetary Fund meeting in October, Gigaba already said that lenders had urged Treasury to intervene. "We have reached the stage where we can't be gradualist. We need to act now." Fin24 in November reported that the power utility’s poor governance had left it teetering on the edge of insolvency, with only R1.2bn of liquidity reserves expected to be in hand at the end of the November. In August Eskom narrowly avoided a crisis when its lenders threatened to recall their loans. The power utility was only saved at the time by an intervention to suspend Singh. Phasiwe earlier told Fin24 that Eskom would not approach Treasury for a bailout.